(VOVWORLD) - Vietnam Airlines announced they will work with King Power Traveler of Hongkong, China to launch a service called Lotushop to sell duty free goods in-flight beginning in October. Vietnam Airlines will work with King Power Traveler for 5 years to make Lotushop a 4-star service as rated by the British air transport rating organization Skytrax. 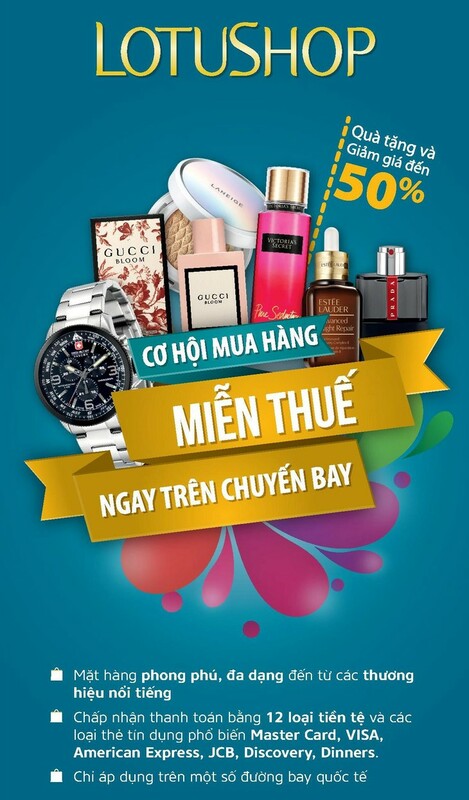 Lotushop will sell passengers perfume, cosmetics, watches, bags, etc on at least 30 international routes. Prices of in-flight goods are often 15% cheaper than in stores. Flight attendants will be trained in sales skills, product knowledge, and completing documentation for customs control. King Power Traveler has been nominated by the World Travel Awards as Best Asia-Pacific Inflight Duty Free Concessionaire for 3 consecutive years.